Contemplating to buy the new ASUS ZenFone 2 but don't have enough information? 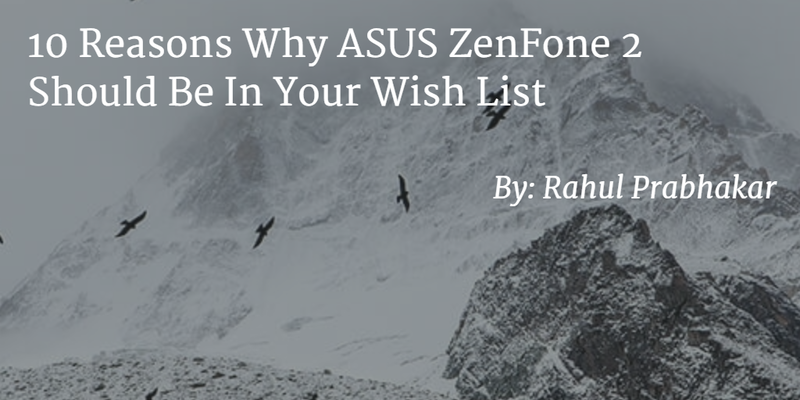 In this blog post, I'll provide you 10 reasons why ASUS ZenFone 2 should be in your wish list. With all my previous smartphones, I always felt the need to kill background apps whenever the device acted sluggish. Not the case with ZenFone 2 though, which is power packed with 4GB RAM for a perfect speed boost. Ever seen a phone with graphics so incredible that it makes you feel like using your PC? The new ZenFone 2 comes with a PowerVR 6430 GPU that not only enable Full HD video display but also transforms your phone into a gaming powerhouse. The only phone in the market available in five premium colors, the ZenFone 2 defines your personality as well as mood. Match the ASUS ZenUI theme with the magic of Osmium Black, Sheer Gold, Glacier Gray, Glamour Red, or Ceramic White, and create sheer magic. If you believe that less is more, wait until you've seen the ZenFone 2. A 5.5 inch smartphone with reduced bezel width that makes it look smaller. In fact, you'll mistake it for a traditional 5 inch smartphone, which is remarkable to say the least. The ZenFone 2 is truly ahead of its time. I have already talked of dual-channel DDR3 4GB RAM but that's not all. Powered with a 64-bit, 2.3GHz Super Quad-Core Intel Atom Z3580 processor, ZenFone 2 features LTE Category 4+ for faster download speeds (up to 250Mbit/s) and quick touch response time (60ms). ASUS has employed unique molding techniques like the NCVM to provide the ZenFone 2 with a stylish metallic look. The reduction in weight and thickness has elevated the user experience to a whole new level. Can a smartphone battery be 60% charged in less than 40 minutes? ZenFone 2 makes it possible with its high-capacity 3000mAh battery that runs on ASUS BoostMaster technology. Charging your phone at double the speed is so cool. If you're crazy about taking selfies, the ZenFone 2 is the phone for you. The ergonomic arc design and highly intuitive control layout eases how you snap selfies or even adjust the volume. I'm a huge fan of ZenFone 2's PixelMaster technology that powers the 13MP camera with f/2.0-aperture lens. Go, capture beautiful, vivid high-resolution photos of your world with zero shutter lag. If you're crazy about shooting in the dark, the ZenFone 2 allows you to click 400% brighter photos during night. When you have a beauty by your side, the entire world takes notice. The ZenFone 2 is the proud winner of the prestigious 2015 iF Design Award for its amazing product design. 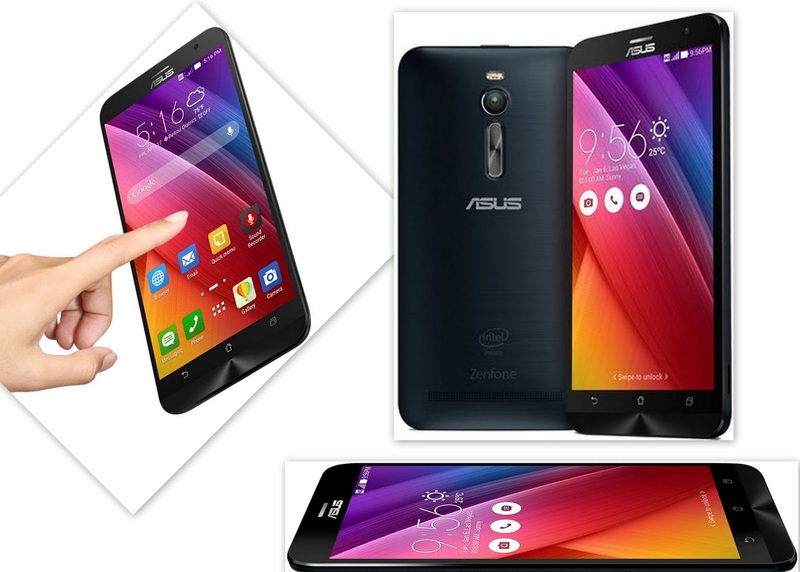 ASUS has a long lineage of churning out excellent products and with ZenFone 2 the tradition continues to grow.